The kambara jasper is a dramatic stone with a sage green background and fascinating swirls and orbits of black. Each stone is wonderfully unique! 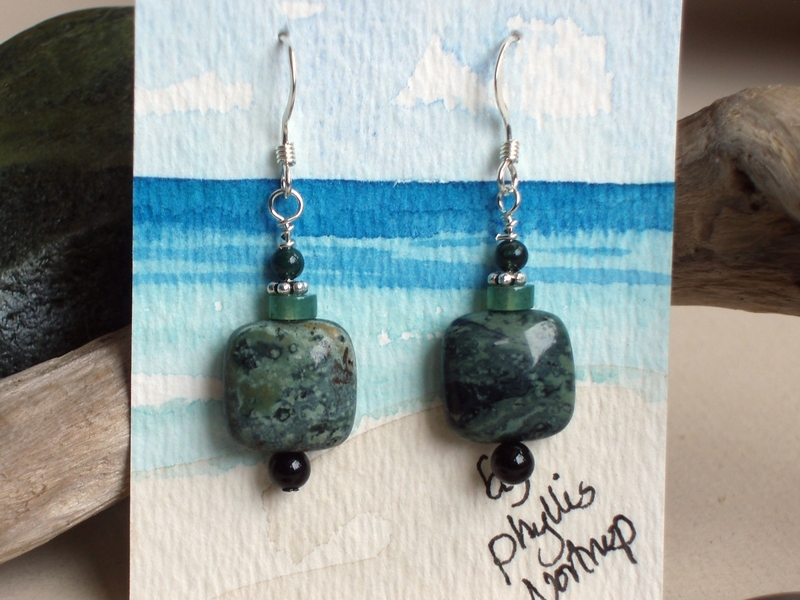 These earrings highlight the kambara jasper which is united with black onyx, pale green moss agate, sterling daisy accent and topped with a 3mm round deep green moss agate. Earrings are displayed on a hand painted card Price includes shipping.